In our last post in our 5 part series about selling courses online we looked at the e-learning platform from a general standpoint. Now, during this blog post, we want to dive deeper into the case study and explore how in this particular eCourse seller used their third year to further refine their student back-end by adding various e-learning software and tools that were aimed at helping students complete his online new-media course. The tools used in an online learning platform generally have one of two primary goals. 1. To help the students reach their educational objective. 2. To keep the students engaged in the online learning material. The second point is really only important because it supports the first point. Everything you do, including the tools you use to teach online, should be focused on learner objectives. There are obvious advantages to online education since it breaks many of the time and space restrictions that have plagued traditional learning environments. However, online education has its own set of problems that need to be addressed by online teachers, since teachers are not meeting in the same physical space as their students. However, she also mentioned that these issues can be overcome by proper planning and the right e-Learning software. She goes on to mention the following 5 points as ways to help overcome some of the obstacles mentioned above (or prevent them from happening in the first place). Up until this point we’ve discussed the problems and some general ways to overcome those problems, but what are some specific e-learning software applications or tools that you can use to do those things? 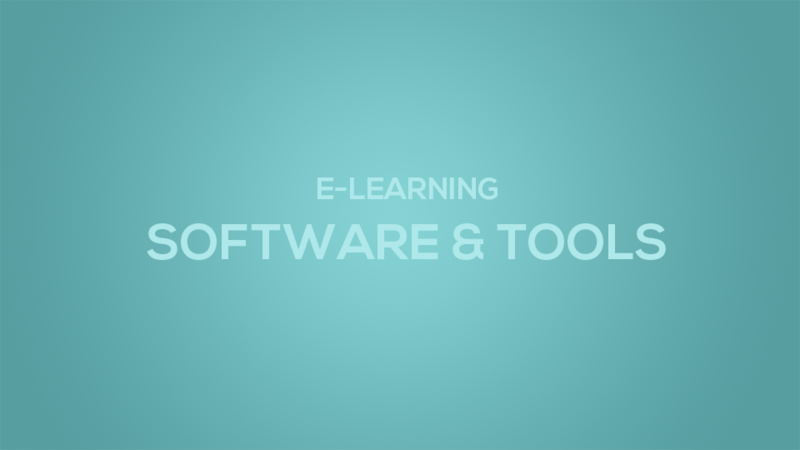 Below we’ve created a list of tools that will help you solve various e-learning problems. 1. Communication tools: As mentioned above, students often feel “isolated” in their online courses. For this reason it’s important to include some type of consistent communication into the system. The problem is, for many teachers, that individualizing all communication can be overwhelming (even impossible depending on the size of your eCourse). Therefore, it’s important to use email software that will allow you to create customized emails by using templates that can insert unique student information into them (such as names, grades etc). This helps you save time, while at the same time personalizing your students’ experience. Below we talk about different Learning Management Systems. Most of those systems have integrated communication tools built right into them. For instance, you can send emails when a student registers for a course, when they pass a quiz, when they complete a module and so on. 2: Instructional design tools: At the foundation of your eLearning company you’ll likely be using some type of LMS. Our particular member in this case study was using WP Courseware, but you can use any other options available to you a well including WooThemes Sensei, WP LMS or LearnDash to name only a few. The great thing about many of these plugins and software packages is that they not only provide great communication tools, they also provide countless other tools such as grading and progress tracking tools. Again, these tools help solve some of the problems mentioned above because they help show students a clear path from beginning to end. This helps students stay connect to their online course because they can “see” where they are as they progress through the material. 3: Video tools: Tools like Vimeo Pro or Wistia help you publish high quality HD footage and protect your “student only” content using the various privacy settings built into those platforms. 4: Gamification tools: In a recent case study we found that gamification lead to a 260% increase in student activity on one of our member’s sites. You can gamify your own eLearning site using tools like CubePoints or achievements for WordPress. 5: Community tools: And lastly, if your LMS doesn’t give you as comprehensive as a social community as you would have liked, you can always add-on community plugins like BuddyPress or WP Symposium. We hope you found this tool list helpful.